Last month, the FBI reported that hate crimes in Vermont increased for the second year in a row, and are now at their highest level since 1995. The evidence of escalating hatred and bigotry is right here in Vermont. There are dozens of examples from Burlington to Brattleboro, St. Johnsbury to Bennington. As cultural leaders, we stand against hate and violence and we will take action. We have come together to commit our cultural organizations to the vital work of promoting inclusion, respect, and change in Vermont communities. 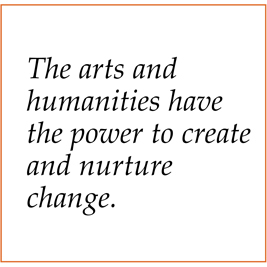 We know that the arts and humanities have the power to create and nurture empathy, promote critical thinking and thoughtful reflection, offer healing strategies, and advance understanding across differences such as race, ethnicity, socio-economic status, sexual orientation, gender identity, religion, disability, and age. In 2019, each of our organizations will undertake programming that advances dialogue and healing in our communities. We invite other cultural organizations across the state to join us to reject bigotry, work for a kinder and more thoughtful Vermont, and build creative, healthy, welcoming communities for all. Organizations who have signed the statement will be invited to nominate representatives to join a planning committee for a meeting in early 2019. We anticipate that this meeting will be one of a series of coalition-building meetings across the state by Vermont’s arts and culture leaders who represent a diverse and broad-based community. Add your organization’s voice to the statement promoting inclusion, respect, and change in Vermont communities. INSPIRIT, a dance company Inc.